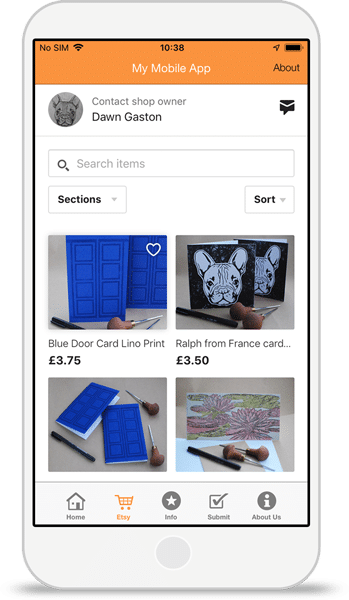 Build your brand and maximise your Etsy sales by allowing customers to buy directly from your store from your own app. Enter your Facebook Page and Website URLs to pull information and branding automatically into your app. Connect your Etsy Store using our easy integration — no coding skills required. Our simple publish wizard makes it easy to launch your new mobile app on the Apple and Android app stores.